A runner’s longest run of the week will vary from runner to runner. For one runner, it may be 5 miles – for another, it may be 25 miles. No matter how long your longest run of the week is – it’s important to get it done – and done correctly. Most runners, especially those getting started have questions about their long run. Is there a certain day to do it? How fast should I run it? How often? Why do I even need to do a long run? Let’s get those questions answered. Your longest runs of the week should be slower than your other runs. These are for building endurance. If you are doing this with someone, you should be able to talk with them during this run without any problems. Longer distance should only be done once a week. This is a hard work out for your body, so you want easy/rest days before and after this effort. 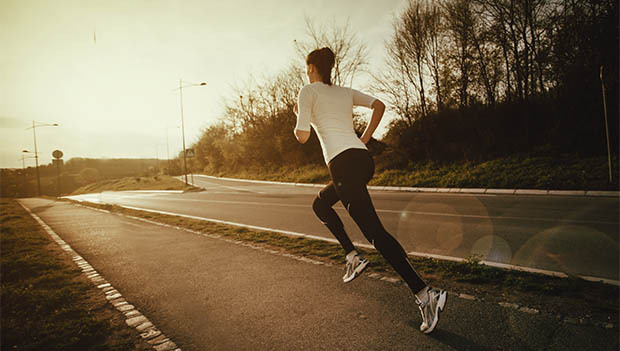 Some runners will even go 2 weeks between their longer workouts. Your long run should be on the day that works best for you. Most runners do them on Saturday or Sunday. But, you may work a job where you are off on another day of the week. You can turn that day into “long” day. There is no hard or fast rule. When you are working up to longer runs – make sure that you are doing it slowly. Don’t add more than 15 minutes to your long run from week to week. If you add more quickly, you risk injury. Another help may be to find someone to run these with. Many runners do their long runs with a training partner or two. Others find a group that they run with. This can help the miles fly by. As you can see, there are many reasons to “go long”. I enjoy my longer runs. It’s a peaceful time for me on the roads – and I know that they are helping me to stay healthy and strong! 2 Great Body Weight Exercises For Strength!